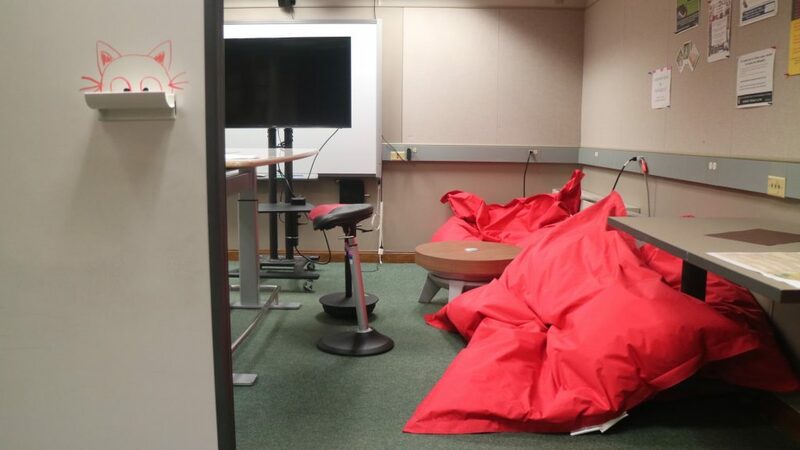 The KnowledgeLab is preparing to purchase new materials for the space and has been gathering responses from students in regards to what changes they might like to see. Thank you to everyone who filled out our Google Form survey or responded to our questions on the whiteboards in the KnowledgeLab! When asked if they would rather we purchase new furniture or new technology for the space, a small majority said furniture. Many students told us they liked our beanbag chairs and would love new ones! Other ideas included more art supplies and puzzles for our prototyping cart. These purchases would definitely help the KnowledgeLab become more of a creative space where students come not just to study, but for study breaks or other extracurricular purposes, as well. Several people liked the idea of the KnowledgeLab hosting more academic or special studies presentations. This would benefit both those looking for a more informal space to present their work and those open to hearing new ideas and talents being shared. More open houses and more org events were popular suggestions, as well. 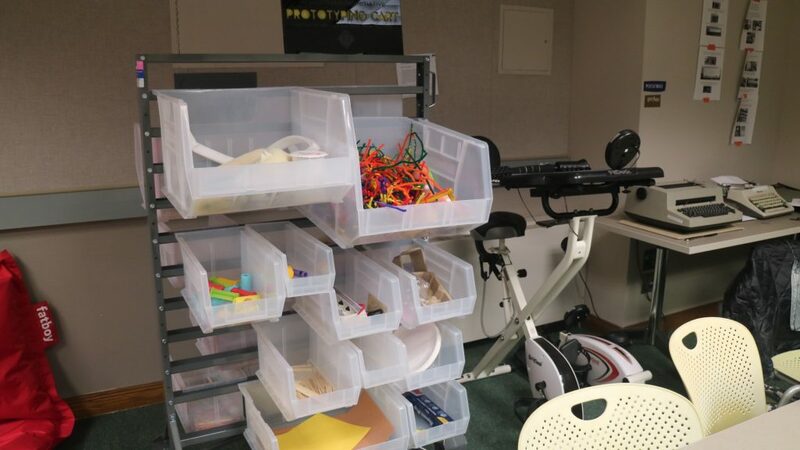 One student even suggested that it might be nice to have workshops for specific materials in the space to show students how they might use them in a collaborative setting. In general, a wider variety of events seem to be the best way to please everyone in terms of the fuctionality of the KnowledgeLab. Our student feedback these past few weeks was hugely helpful – we’re so glad you care about the space enough to want more for it!